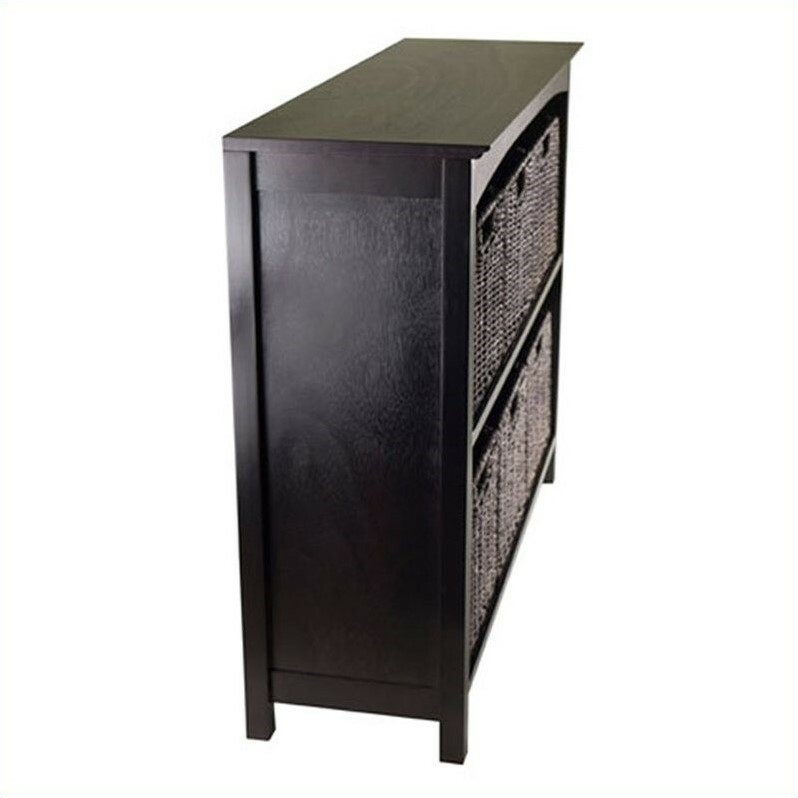 Winsome Terrace Storage Shelf / Bookcase 5-Tier in Espresso - in stock! 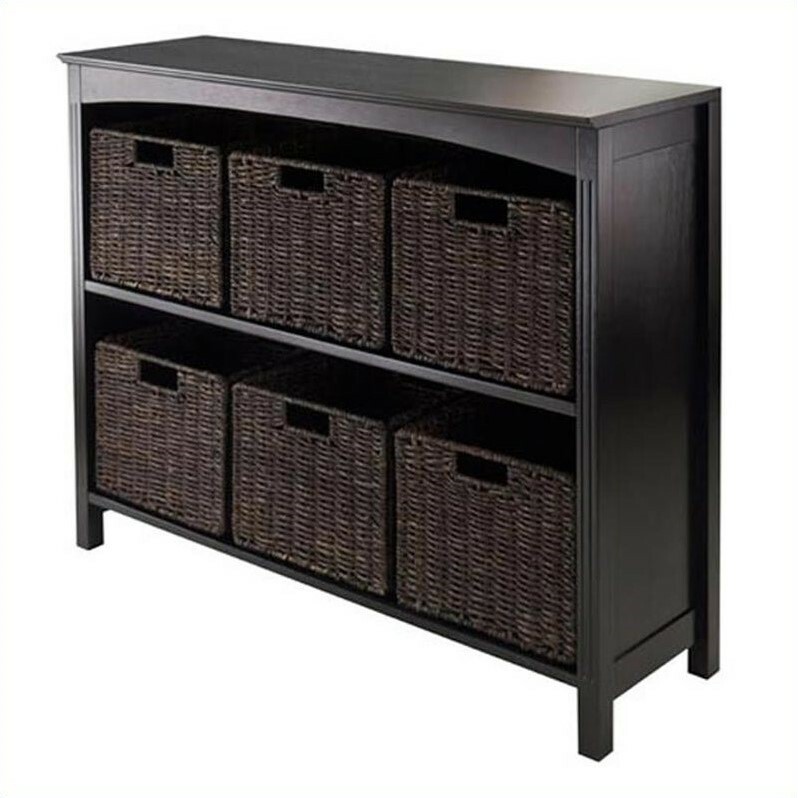 Now you can showcase your storage baskets and not your random odds and ends with this 3 tier shelf and storage baskets. 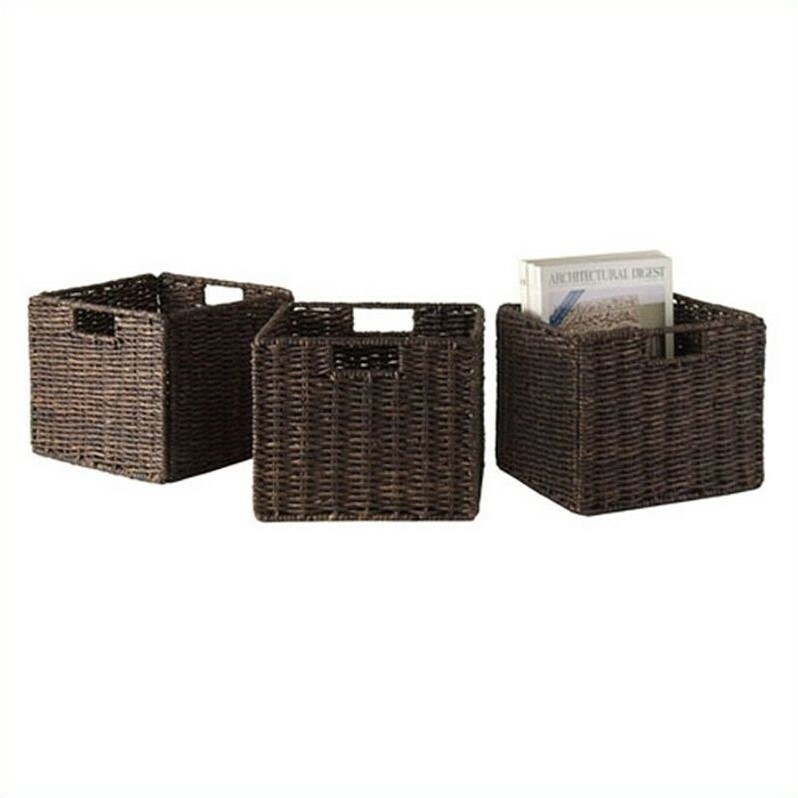 A gorgeous shelf in dark espresso finish houses six square baskets made from a stylish corn husk material. 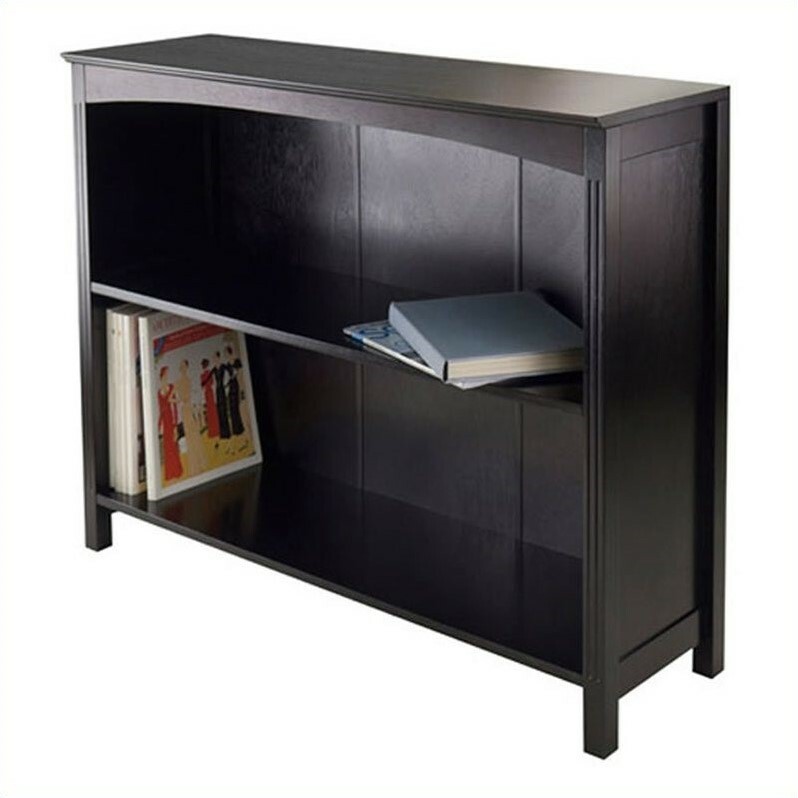 The chocolate colored baskets are the perfect complement to the dark finish of the shelf.